As a website owner, connecting with your customers is probably the most important task you carry out throughout the day. And to be honest, everything that we do, be it blog or develop a product or offer a service all ultimately boils down on how well we engage with our customers. Chances are you’ll agree on this with me. So, let us carry on. Most of us aren’t marketing wizards and thus fight a constant battle on how to connect with your customers. Looking deeper the saddest part is, we have all the direction as in the pdfs, the plr content, inspirational blogs etc but when it comes to implementing them, most of us still fail. Don’t we? So here’s the good news. Icegram, is a WordPress plugin that helps you to engage and convert your customers instantly” It helps you to show messages in places that are the most prominent, while the targeting rules help you to control the way the messages are shown as well. THUS, IT IS THE MOST COMPREHENSIVE TOOL TO GAIN YOUR CUSTOMERS ATTENTION AND THUS HELP YOU INCREASE THOSE CONVERSIONS!! In simpler terms, it’s a marketing/ re-targeting tool that helps you display messages and lets you communicate effortlessly with your customers. The results? Better engagement and more conversion! The amazing part is, in Icegram the Free features are as much useful as the paid ones. Icegram is a 4-in-1 WordPress plugin that helps in acquiring, engaging and retaining your online visitors. It comes with 4 basic features popups, action bars, messengers and toast notifications. And to your surprise all this is what the free version provides. If you love the free version you’ll like to explore premium add-ons even more. Icegram provides premium add-ons that do a lot of cool stuff and are priced anything between $7- $25. While the Super Bundle pack comes at an amazingly affordable price:$49, the features are really amazing and easy to use. Unlike other plugins Icegram doesn’t have any hidden charges. The Free version is extremely usable and comes with around 37 themes, much more than what many paid plugins give. As for the add-ons, they aren’t compulsory. Buying them is completely on your choice nothing forceful like other plugins. Icegram is not just an email opt-in plugin. It handles a lot more. The main purpose of Icegram is connecting with the visitors and engaging with them. The various features of Icegram are flexible and can be used for multiple purposes. Yes, if you own a website..Icegram is useful to you. We all have customers and we all want to connect with them right? Icegram gives you a platform to connect better. The beautiful messages of Icegram easily grab attention and hence set a stage for you to communicate with your visitor. As mentioned Icegram is a free resource with 4 amazing features. These features are called messages. Icegram doesn’t only let you display messages simply but instead it helps you display messages bundled with targeting rules. Interesting? I’ll tell you how.. Creating your Icegram Message is so simple, even if you are new to blogging and have no idea how it is done, you can do it like a pro. Step 1: Simply download the Icegram plugin at www.icegram.com and go to install it go to Plugins > Add new > Upload. Once you activate the plugin you will get the new Icegram option panel on your WordPress admin. Step 2: Now you can simply go to add new campaign and get started. You will have to select the message type from the drop down i.e either popup/ action bar/ messenger/ toast notification. Here (in the below screenshot) I’ve selected ‘messenger’. Step 3: Once you choose your message type, you can go ahead filling the rest of the design/detail options like the theme, the headline, the main message and the position of the message. Step 4: Once the major details are done simply fill the targeting rules. Now Icegram has made targeting the message really very simple. There are 5 basic targeting rules that you need to set out. Who: Choose who can view your messages. Eg: All users/ only logged in users/ not logged in users. Once the targeting rules are set the message works exactly how you chose it to. Thus, with absolutely no technical/ professional skills you can simply create a powerful message and make it work just the way you want it. Can it get simpler than this? While I’ve previously used Hello Bar in my blog and got pretty decent feedback; but after trying out Icegram I must say, they are quite different. As you can see on the screenshot below, Hello Bar gives you an option to display only one message in a banner format, while Icegram gives you full flexibility to generate a fully fledged campaign. While Hello bar give you only one messaging option, Icegram provides with 4 options notification bars, popups, messengers, toasts. According to me Hello Bar and Icegram are two very different tool, and when used correctly can bring you good results. To that Icegram was quick to accept Sumo Me is their giant competition. The only reason being it’s comprehensive as well. Sumo Me just like Icegram is multi featured and does a lot of things like popups, action bars, messenger. After reading the amazing benefits of Icegram you must all set to try it out. Well, chances are you can win any premium add-on of your choice from this small contest. What you’ll have to do? Step 1: Write a comment on this post. Step 2: Share this post on G+ and Facebook publicly. Finish the sentence and tweet. All other steps are completed or not. As the giveaway winner, you can win any amazing add-on of your choice that would otherwise cost you anything between $7 to $25. So, what are you waiting for, start sharing!!! If you own a website and are looking for an easy and stress free way to connect to your customers Icegram is well worth a try. It’ll take hardly 5 minutes to download/ setup your first campaign but surely it will save a lot of your traffic and time. Go for it right away www.icegram.com. Download the free version now and see how it works for you. Make money with Faceboook & Twitter without Website! 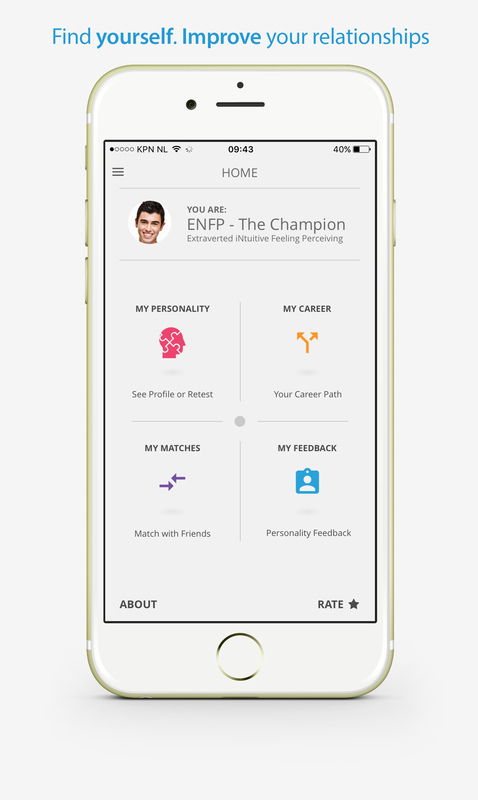 PersonalityMatch: Take Your Relationships More Seriously with the Help of this App! Oh yes, Icegram is wonderful as we too had written a review post with a Giveaway at our blog some time back, if you remember. We did use all of it’s free and premium features, and they were wonderful indeed. What I like about them is that they keep adding new and more features and updating things around, so there is a lot of variety for the bloggers and those keen to go in for it. No, I am not here to enter the giveaway, but here to cheer all those who participate. It is great to know that you are doing an Icegram Review. It is an awesome plugin that does what it preaches. I have been using it and it is very effective. I love their themes and like Harleena mentioned, they keep adding new features on every update. Oh, it’s a great review for this plugin. There are a few features that I want to use, let’s me try the free version. Hey Nisha ! Really I enjoyed this post comprehensively, It was a full of helpful as well as excellence post. You did a great job and discussed each point very well. Keep writing such a wonderful post. Thanks for the sharing with us this amazing post. We love your support and affection for Icegram. I am so glad Icegram has helped out the people of your community and hoping to see a similar reaction from Nisha’s followers as well. My regards to you and Vinay! Thank you for your appreciation Ikechi…. Team Icegram is glad that you’re enjoying our offering. We hope it has helped you connect and engage your visitors better. Do share your honest experience with us and other users sometime. I’d be excited to get some feedback. P.S. We love delivering good stuff, so I can assure you that there’s lot more of great features coming up real soon. Keep a check on Icegram. Bet you’ll love it even more! I’ve heard a bit of buzz about Icegram, but not explained as well as you did here. Your review of this is wonderful. You sure took us step by step showing all of it’s features. I appreciate you review this. Its great to see you here. Yes, I saw the Icegram review in your blog. The thing I loved about Icegram is that the free features are as useful as the premium ones. A newbie can conveniently use the free features till time he/she is sure about it. I found all the features great too. Nice to see you here. Thanks for the kind remarks and the most useful advise too. Do use Icegram yourself let us know how your experience was. Yes, you are absolutely correct here, Icegram is one of the very few plug-ins that do exactly what they preach. One great feature is that it is extremely easy to use and even a person with least knowledge can do it easily. And yes, who does not love their great updates? Do use the free version. I bet you are going to love it. And why don’t you take part in the Giveaway? This way you can win some awesome features for free!!! I’m so glad that you find the post useful. Icegram is really a great plug in to have. Do use it yourself and let us know how you feel about it. Lovely to see you here. I’m so glad that you found it useful. Yes, this is one plug in you cannot miss. Why don’t you try the free features yourself? I bet they are as good as the premium ones. WoW … Nice to read this well-written review about icegram. I didn’t here this plugin before. It’s my first time to know about that amazing feature plugin. I just have downloaded the free version of icegram. I want to give this plugin a try. If I find this plugin effective for me. I’ll surely gonna buy this plugin. Moreover, just want to say thanks for givingaway. I just enrolled my self in this giveaway. Hope to win this giveaway! Thanks for enrolling here. Hope, you will win this giveaway. All the best for your success! Thank you so much for coming by here. Have a great day! I remember reading about this over at Harleena’s blog when they were also doing a giveaway. I had never heard about it until they shared more with us and sounds like it can really be very helpful with specific things we would each like to accomplish with our blog. Thank you for giving us all the scoop and I wish everyone the best of luck who enters the contest to win this one. Good luck! I remember you from the comment on Harleena’s blog. You had pretty kind words to say even then. Thank you for being supportive about Icegram and yes, it has proven to be very useful to people who have tried it already. So I personally invite you to check it out. It will be great to have you onboard of the giveaway. 3 simple steps could get you a add-on of your choice! And as for the giveaway, do complete all the 3 steps mentioned. You may just win an add-on of your choice. Thank you for appreciating the article! I would love it even more if you decide the plugin a try. Confident on the fact that you will be wow’ed by it too! Also, completing 3 simple steps of the contest will make you eligible to own one add-on of your choice for FREE. So please join in. Hi Nisha, Great review of one of my favorite plugins! I first learned about Icegram at Harleena’s place last month and I won her giveaway. Yea! I started to use Icegram but then was traveling for 2 weeks and haven’t been able to get back to it. I highly recommend Icegram. As you point out, so much of the plugin is free that you can get a lot without spending any money. But once you start using Icegram you will be very tempted to get some premium features because they are so powerful. I don’t need to enter the contest but I will be sharing this widely so others can learn of Icegram. For IceGram, it seems great with what it does. And whose competitor is SuMoMe, they are certainly an unique one in terms of services and quality. So, I will must get my hands on IceGram to try it out. Great review on Icegram. I actually read it on Harleena’s blog also and she covered a lot. You shared some other features that comes with icegram that I didn’t know about. I have actually installed it, but haven’t dived into it. As you probably already know, I started using Thrive Leads and it’s been working fantastic so far. But one thing I like about icegram is that you get a lot of great features for free and sometimes that’s hard to come by. Yes SumoMe is it’s competition but icegram offers more from what I’ve seen thus far! Thanks for the share Nisha! Have a great weekend! Nice seeing you again 🙂 Harleena’s blog did introduce Icegram to many wonderful people and you were one of them. Your words of praise for Icegram boost us to deliver even more and even better. Thank you for recommending Icegram and helping others find out it’s usefulness too. Thanks for your lovely words here and at Enstine’s blog. I really appreciate this. Yup, Icegram has some decent and lot of features to try out. Thanks for participating on this giveaway. Wish you all the best! Thank you so much again for coming by here and sharing your wonderful feedback. Looking forward to see you here again. If you have installed Icegram do use it once, bet you’ll be more than happy. And I also have not come across any plug-in so far that offers so much for free. This is why it is great for novice bloggers too, as they can use it without any real investment. A well written review. But sad to say that, after reading the review written about this at Harleena’s page and I opted for it and that resulted in my page altogether had a different look. Indeed this was a surprising note to me, and I thought it will go automatically. But to my surprise that was continuing and some of my good friends enquired about this pop-up, like: “ Is that a true like statements? “ Where I could not say a correct answer, since it was confusing and I told them that its not at all true about my page, and I noticed that it was a false propaganda and will surely affect my page and visits. Many of my visitors left my page because of this untrue statement and some send personal mails too me to remove it I was not so sure it’s a good idea putting that kind of claim up via icegram, unless it’s true. I still doubt! Is that statement talking about some other blogs, even then I am sure making that much money a month is a highly impossible one! And thinking on the serious issue at once I removed it from my page. This is my experience with icegram! I still have a doubt, is that because of my ignorance about the technical aspects of installing the widget. After reading your review, now I feel that I am missing something. Hope you will give an explanation to this. Thanks a lot for telling more about this wonderful plugin. PS: Also I noticed that somewhat similar pop ups are appearing in your page when I was trying to check the page in my mobile. Top bar and side bars are covered with some pop ups unless you click on the appeared pop up we can’t see anything. The pop-up and all you are seeing. Those are sample campaigns in this plugin. When you activate this plugin, those campaign get activated automatically. So you can edit those campaigns with your details or else you can simply delete it and can create new campaigns of your choice. Hope, this will be helpful for you. Let me know if you need some help in regarding the same. Thanks again for coming by here. Have a great day! thank you for sharing your experience with us. However, I’m afraid you might be missing some bit and that’s why must have faced the issue of $34,800 per month popup appearing on your site. Now just for the convenience of the customers Icegram comes with sample campaigns. These are in the draft mode (as confirmed with the head developer) and thus they do not show up on the site. The whole purpose of them is just to give the user an example of how a campaign looks like. In your case, it might be possible that you must have published these sample campaigns and thus they got live on your website. To take them off kindly go to the campaign and put it in drafts again. And yes the $34800 claim might sound a very tall one but that was just a example you can fill it up with any other startling info from your business and make it look apt and fit for your website. Kindly do give Icegram a second try. Incase of issues, drop us a mail at hello@icegram.com. We will get back to you in a record time of max 48hours. Bet you’d love this experience.